Great goals! I’m looking forward to your Book Thief post! I should post my thoughts on Amazon as well. I need to join the Classics Club also… get a list going for that!! Good luck on your goals! Oh, I should add cross linking my reviews to my list! Good luck with your list. Good luck with your list…I’ll be watching for what you discover in themes…I’m always hunting for new ones. 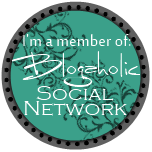 Do not feel bad for just figuring out the link thing- I’ve been blogging 4 years now and there are a million billion things I don’t know how to do… sometimes I don’t even know they’re possible until I accidentally stumble upon them during Bloggiesta! Good luck with your goals! Good list! I created my review archive last year during one of the bloggiesta’s – this is the best time to do it! Hope you’re getting lots done! Great goals! As for wanting FB/GR, etc. buttons, you don’t need a special theme. I just googled social media buttons, downloaded a free pack, and manually put them into my sidebar using a text/html widget. From there, I made the buttons clickable with links to my pages. It’s not hard! Thanks-I will give it a shot. I am so lame- I tried it-got the buttons, etc, but I can’t figure out how to make the widget using the text/html widget. I need a pre made blog- just let me type in the word! Great goals! Cross posting is something I always leave until Bloggiesta and then complain about how long it takes me. The A to Z survey is really fun to fill in – I loved creating mine. Good luck with the rest of your Bloggiesta! Did you read Xingu? It’s a short classic read and really humorous. Also satirically funny was The Importance of Being Earnest! No I haven’t- I will add them to the list-thanks!